Lifting settled concrete generally costs 50-90% less than replacement cost. The step to the porch is now even and at a reasonable height. Please click on one of the pictures above for more BEFORE & AFTER examples! 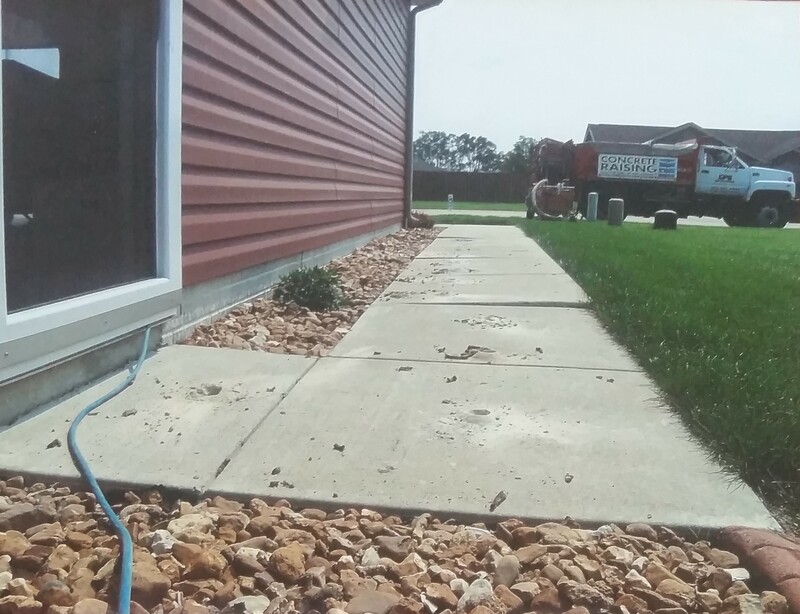 If your concrete is sinking… there is a very good possibility that the concrete slab was installed on poorly compacted fill dirt. Sub-surface erosion and shrinking soils are also possibilities. 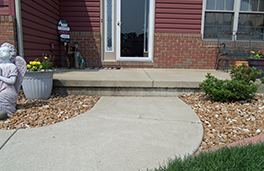 If you are fortunate enough to have a concrete lifting company in your area, you should not have to replace the concrete. These individuals can float a slab back to its original position by pumping a grout mixture of portland cement, crushed limestone, and other additives beneath your slab. What makes our company stand out above our competitors is that the material that is pump under your concrete is a high grade of limestone and portland cement not black dirt or a clay and sand mix. We simply drill small strategically placed holes into the slab. Using a portable pump and flexible hoses, we pump through these holes with the special mixture of crushed rock and portland cement. Lifting a slab using this method can often be accomplished in a few hours. The cost to perform this service is less than half and often up to 90% less than that of replacing it with a new slab. There are numerous benefits to slabjacking. • It can be done in virtually any weather. The material injected beneath the slab provides a strong base. • There is little or no disruption to landscaping. • Nothing needs to be moved off the slab, as the pump can lift the weight of the slab and anything you have placed on it. 1. 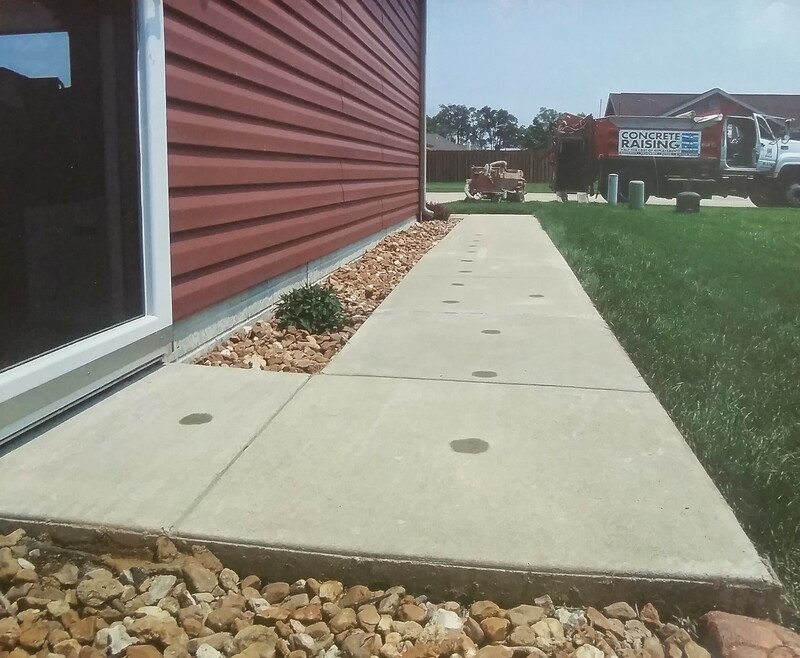 A pattern of 1-1/4 inch holes are drilled through the sunken slab. pressurized, hydraulically raising the slab to the desired height. 3. The holes are patched using a concrete mixture. Peoria, Bloomington, Galesburg, Decatur, Springfield, Lincoln, Rockford, Janesville, and other surrounding areas.